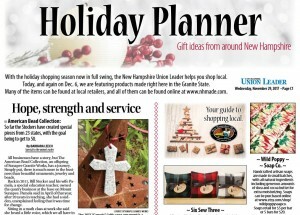 The New Hampshire Union Leader holiday series continues with the release of their Holiday Planner. 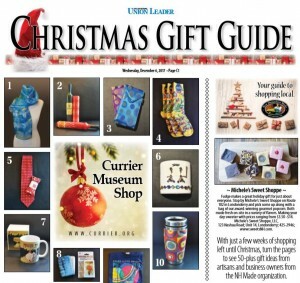 You’ll find a wide assortment of gift ideas (for humans and pets) and examples of independent shops that support local makers. If you’ve committed to joining in our Shift Your Shopping campaign and are striving to shift 10% of your holiday shopping to local businesses this season, this Holiday Planner is a wonderful place to start. 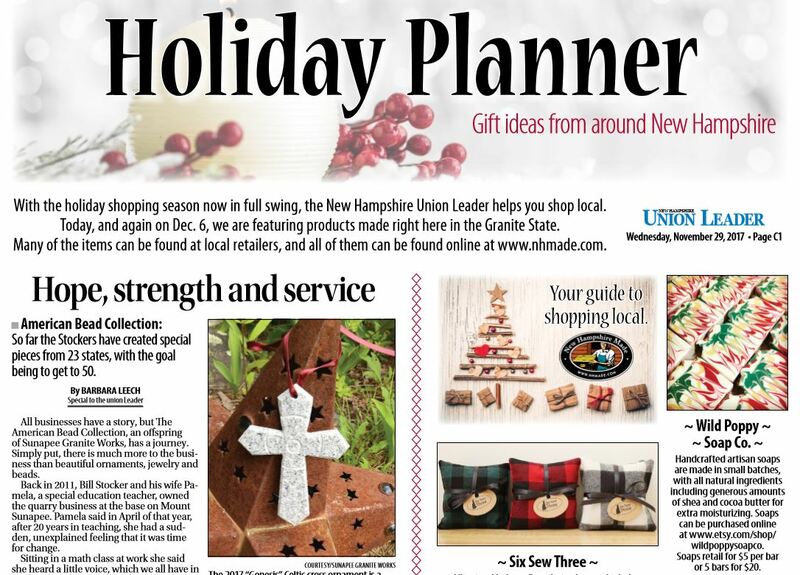 The Union Leader has gone behind the scenes with some of our members, including Sunapee GraniteWorks, Good Paws Bakery, The Red EFT Custom Hiking Sticks, Black Maple Glen, and Pop of Color, to learn what inspires their work and their connection to New Hampshire. Soap infused with maple syrup, Harry Potter style wands, jewelry made from local granite, and stylish decor to brighten your home – you’ll find all this and more made right here in NH! 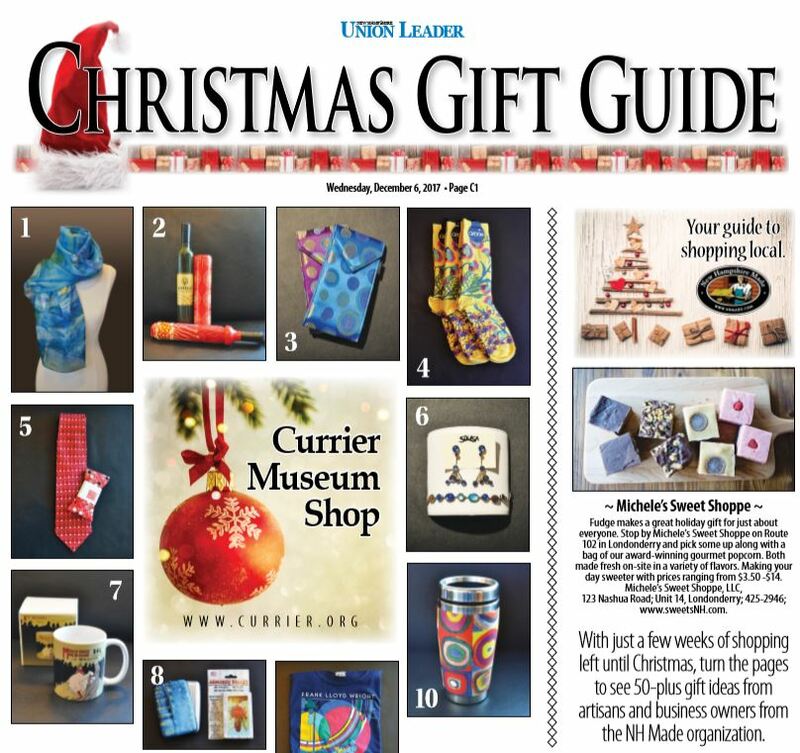 For additional ideas on ways to give thoughtfully this season, pick up the Union Leader’s Christmas Gift Guide on December 6th and check out the NH Made Member Directory. Happy Holidays!